The Matinee October 11th has, for the most part, a nostalgic vibe. Songs that take us back decades to times when music was simpler yet arguably more moving. We begin the mini-playlist with one of our favorites and a tribute to a man whose life was taken way too soon. More than a year ago, a little band out of Melbourne, Australia blew us away with their song “Lately”. The song had a Wolf Parade / Dan Boeckner vibe that us wanting more. 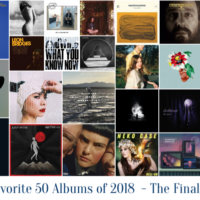 Not surprisingly, this single made it to our year-end, mega, mega-playlist, which featured our favorite songs of the year. 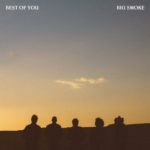 Later in 2015, Big Smoke released a terrific EP that spanned ’70s folk-rock to modern-day indie rock. It was a wonderful introduction to a band for whom we had high hopes. We didn’t know it at the time, but frontman and principal singer-songwriter Adrian Slattery was diagnosed earlier in the year with oesophageal cancer. However, he would continue to write music and perform shows. He was an inspiration to many and the rock for so many artists, including Alex O’Gorman, who is known for his solo work and cameos in Courtney Barnett videos, and Julia Jacklin, who dedicated her remarkable debut album to Slattery through a moving Facebook post. We’re giving back the blue skies! That have nothing on your blue eyes. I want nothing but the best of you! The best of you, nothing but the best of you! If I may, I never met Slattery but exchanged a few emails with him. He was always polite, courteous, and respectful. Adrian endlessly thanked me for the words written about “Lately”, the single, and Lately, the EP. He even invited me to come to Melbourne to hear Big Smoke play. Never once did he mention the pain he was in nor his fading health. While it is too late, I still want to express my gratitude to Slattery for his kindness. For profoundly moving me with his and Big Smoke’s music. You may be gone, but you will never be forgotten. Big Smoke’s debut album, Time Is Golden, arrives October 28th via Barely Dressed Records. Pre-order it here. The video for “Best of You” is also shared here because it has to be seen. Big Smoke are Adrian Slattery, Luke Brennan, Alex O’Gorman, Tim Baker, and Joe Cope. 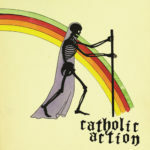 Back in February, Glasgow quartet Catholic Action blew our ears with their glam-rock number “L.U.V.”, which we described as 2016’s first anthem. They return with another new single that sees them again channel the ’70s and early ’80s, but this time they hold off on the pageantry – well, sort of. Instead, they look towards the origins of indie rock. “Breakfast” is a scintillating rocker. It blends the mi-fi approaches of Pavement and Neutral Milk Hotel before escalating in all-out blaze of glam-rock glory. No wonder these guys are among Glasgow’s best live acts. Now it is time for the world to discover what Glaswegians have known for years. 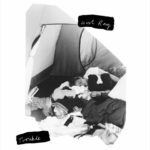 “Breakfast” is part of a double A-side single, which is out now via Luv Luv Luv Records. Scott Cryer (vocals/guitar) and Rob MacDonald (guitar/keys) would probably be the first to admit that making music as Dirt Farmer is more of a hobby than a career choice. If they continue to make music that sounds as refreshing as “Somethin’s Gotta”, it’s quite possible they could turn this pastime into something full-time. Enlisting the overseas help of drummer Christer Bjorklund from Sweden, Dirt Farmer have crafted a song that is Americana-tinged indie rock to the core. “Somethin’s Gotta” falls somewhere between Kurt Vile and Sun Kil Moon, and Cryer’s vocals at times mirror Vile. The clever lyricism, which tells a story of a person battling depression, is Mark Kozelek-esque. They tell me that it is deep depression, such a different colour from your every day blues. Said the man in the suit in the dark room with classical music playing low in the distance. So preoccupied with nonsense walking right through my mind. Awesome. 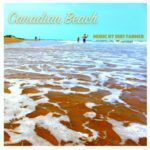 The song is from their album, Canadian Beach, which can be heard on SoundCloud. While Francobollo have established London as their new home base, they should consider moving further westward, specifically to Montreal or Canada’s Atlantic provinces. Their sound echoes the music of the growing indie scene in this area, which is evidenced on their latest single “Wonderful”. The song starts off as a ’90s-tinged guitar-pop. The sweet melodies create a Laurel Canyon-type intimacy, where you are strutting down the beautiful Los Angeles neighborhood. Francobollo, though, introduce not one but two schisms, where the sweet melodies quickly become submerged in a wave of cathartic reverb. “Wonderful” is just that – a great song that perfectly bridges the departure of summer and the arrival of autumn. 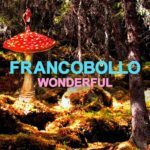 The track is from Francobollo’s forthcoming EP, Wonderful. It will be released on November 18th via Square Leg Records. Francobollo are Sean Bean, Simon Nilsson, Petter Grevelius, and Sven Bailey. As Poppy Hankin, Iris McConnell, and Sophie Moss study for their A-Levels – basically post-secondary entrance exams, which would be equivalent to the SATs in the US – they have found time to write music and sign with Moshi Moshi. Last week, they released their debut single, “Trouble”. “Trouble” is swimmingly infectious with its light and delicate arrangements and body-swaying arrangements. The song echoes the smooth, indie pop of the ’70s and early ’80s, and images of the move Grease may dance in your mind. Yet this song isn’t about a love affair. Rather, it is an introspective examination of the decisions one makes to fit in. And these three are only studying for their A-Levels, yet for one song they are more like PhD candidates in psychology. The sky is the limit for these three young women. The song will officially be released on November 25th. 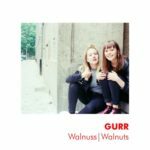 Stars in their native homeland of Germany, indie duo Gurr are starting to pack their bags because international success awaits them. This should happen shortly when their forthcoming album, In My Head, drops this Friday, October 14th via Duchess Box Records. The lead single from it is the shimmering “Walnuts”. The lo-fi, bedroom-pop that lingers across the song is smokey and intoxicating. The guitar lines are clean and stirring. The vocals are smooth and surprisingly intimate. Yet beneath the shine of the song’s shell exists a gritty, punk-pop, inner core. “Gurrlcore” is how Andreya Casablanca and Laura Lee like to describe their song, which is immensely applicable. For a few years, Jamie Lee Wilson has established a solid following along the US West Coast for her electro-pop songs. Yesterday, she revealed something a little different. 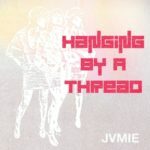 Instead of a catchy, anthemic track, she slowed things down considerably and offered a downtempo, sultry tune in “Hanging By A Thread”. While the theme of a broken or longing heart has been done countless of times, Wilson puts the subject on its head. 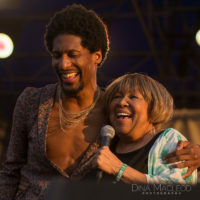 Instead of a stream of consciousness or rattling off nonsensical lyrics intended to humiliate the other person, Wilson opts to focus on a specific moment of time and its accompanying roller coaster of emotions. We have all been through it – sitting next to the phone and waiting for it to ring. Anxiously and impatiently wondering whether a relationship will continue or whether it has come to a sudden end. Wilson captures that moment perfectly on this stirring number. Bands and artists like Natalie Prass, Whitney, Ultimate Painting, and even Cloud Nothings, The Men, and Cymbals Eat Guitars have helped bring back classic rock and pop. It is the music of the ’50s, ’60s, and ’70s when musicians played actual instruments, harmonies were sun-drenched, and songs were meaningful. 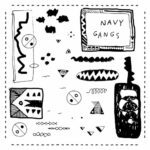 Another band to add to this exclusive list is Navy Gangs. The quartet from Brooklyn, New York recently released their debut EP, Instant Play, and from it is “Mondays”. The song radiates of the ’70s folk-rock that came out of the Laurel Canyon neighborhood. The guitar work shimmers, the harmonies glisten, and the storyline makes you reflect on all the opportunities in your life. You cannot help but smile to this fantastic song, which is one of the most pleasant discoveries of the year. Hear Instant Play in its entirety on SoundCloud. 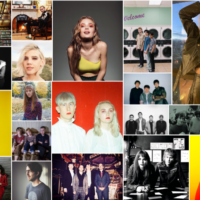 Two years ago, one band we couldn’t (and still cannot) get enough of was Sundara Karma. 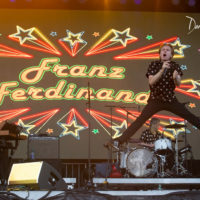 The clever lyricism mixed with their boisterous pop-rock sound were infectiousness. 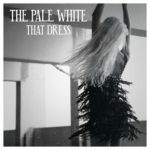 We finally have found a band worthy of the Sundara Karma comparisons in The Pale White. 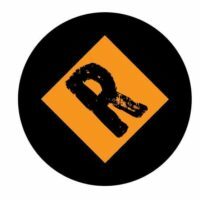 The power alt-rock trio from Newcastle Upon Tyne have released a terrific new single with “That Dress”. The song starts off as a groovy track before the tempo and instrumentation accelerate intensify. The electric guitar then revs up, the bass lines throbs harder, and the drumming comes crashing more ferociously. The result is a song that goes from cool to anthemic in a matter of a 90 seconds. It’s the perfect song to wake up to, play on a road trip, or just for the heck of it. 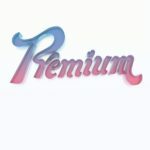 I have no idea how we ignored Sam Evian‘s debut album, Premium. His song, “Sleep Easy”, which he released in June, was magnificent. It was American rock ‘n roll personified – a song meant for aimless long drives. We may still come back to the LP. In the meantime, Evian has shared “Dark Love”, which showcases the young singer-songwriter’s versatility. The song is a vibrant pop tune in the Unknown Mortal Orchestra realm. It actually could be the flip side to UMO’s hit, “Multi-Love”. The production and guitar work are delicate yet sublime, and the addition of the trumpet at the end is ingenious. A ’70s disco vibe also permeates throughout the track, bringing to mind the time when rocking out bell bottoms and paisley shirts were in style. Sultry, steamy, groovy, funky. “Dark Love” is awesome. Evian’s debut album, Premium, is out now via Saddle Creek.